top 10 must know tips! 1. What time of day is better? Sunset or Morning? They are both great, it really depends on the look you want for your pictures. The mornings give a brighter more tropical look, they also tend to be less windy. 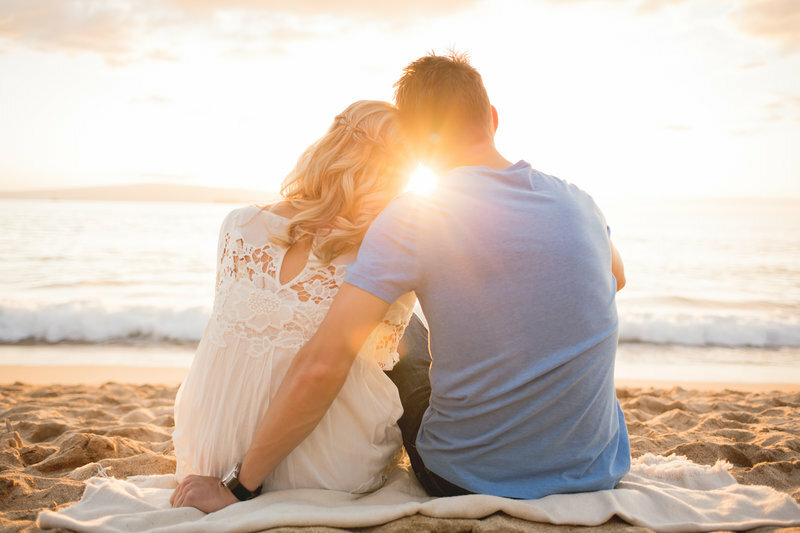 The sunset session offers a more orange/warm light and the opportunity to have a Maui sunset in the background. I recommend mornings for families with small children. Kids are usually more focused in the morning and have more energy. It can be tough for kids to play in the sun all day, then stay focused for up to an hour and a half when they are hungry for dinner! 2. 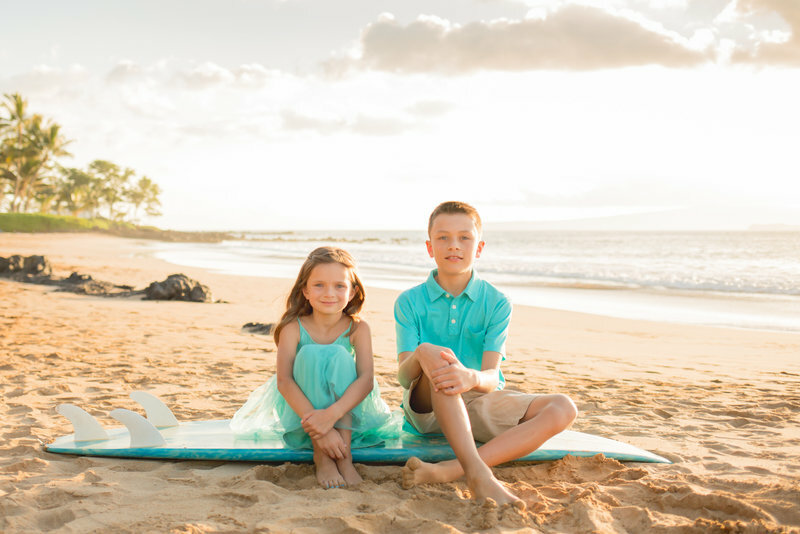 What is the best location for our Maui Portraits? We can also meet you at your hotel, condo or vacation rental house (some hotels do not allow outside photographers, so check with us first). TIP: West Maui locations are near the resort area of Kaanapali. State laws dictate that we may not shoot on Kaanapali Beach, that is why it is not listed. South Maui is near the resort area of Wailea. 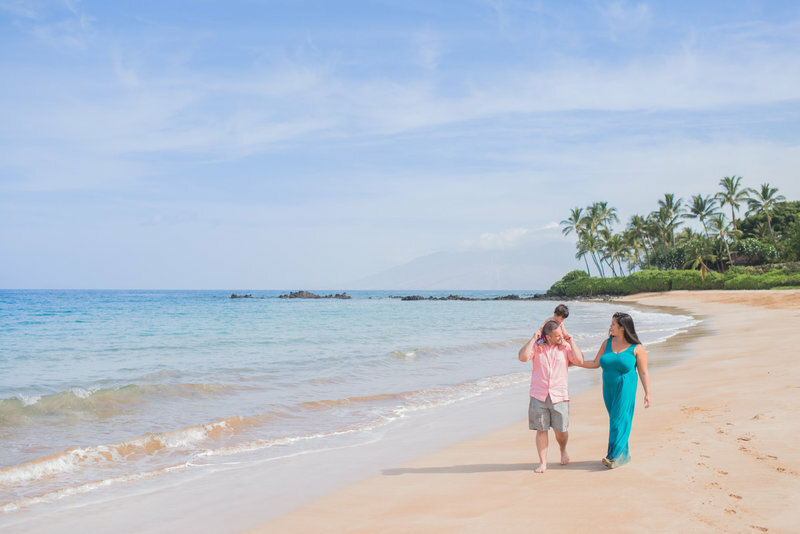 We generally prefer South Maui as the beaches are larger and tend to be less crowded, but the West Maui beaches are just as scenic! 3. What do we wear!? First and foremost, wear something you feel good in! The better you feel the better your portraits will be! Second, matching aloha prints or totally matching in general is not advised, it looks dated and takes away from the individuality of each group member. 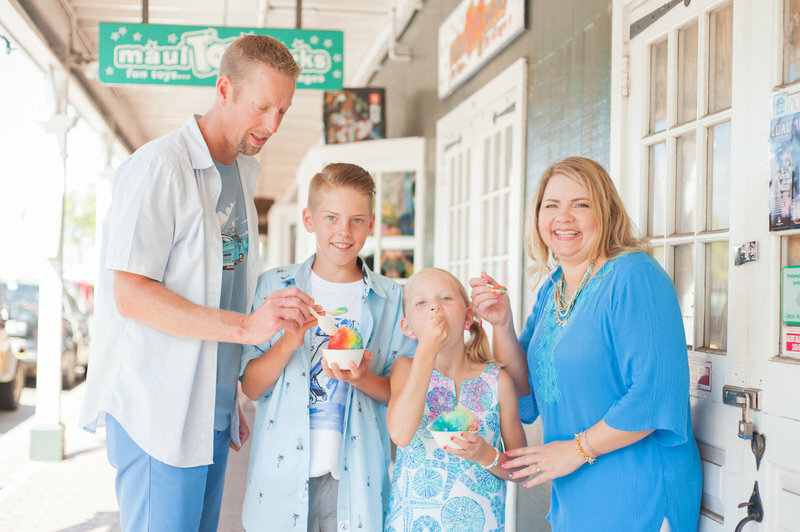 Our goal is to bring out your individual personality as well as the feel for the family as a whole. It is tough to do that when everyone is wearing the same thing! Try to coordinate rather than match. Our favorite colors on the beach are blues, pinks and greens. Try a neutral base like khaki pants for the guys then throw in splashes of color with tops, dresses or jewelry on the ladies. Take a look at the blog for tips from our past clients. 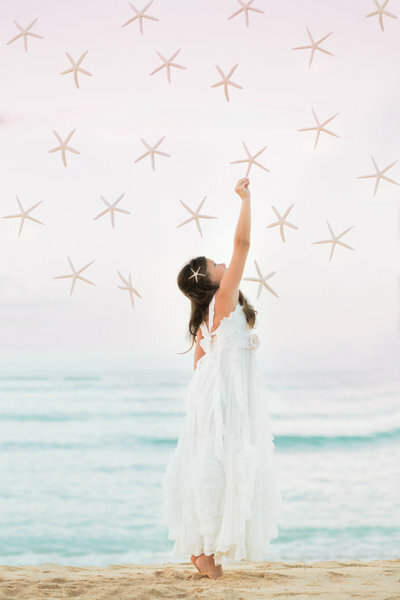 Wear something comfortable that you can move in and if you are planning on being on the beach, something you don't mind getting a little ocean water and sand on! Avoid loud patterns and prints or large logos, these sometimes look strange in pictures (especially stripes) and logos will make your pictures look dated quicker as brands and trends change quickly. You can also see our pin boards with lots of examples! 4. Who will be taking our photos? We assign a photographer to you based on availability. If you have a preference for a specific Maui photographer on our team we are happy to assign them if they are available. If they are not, we will notify you and you can decide if you want another team member. 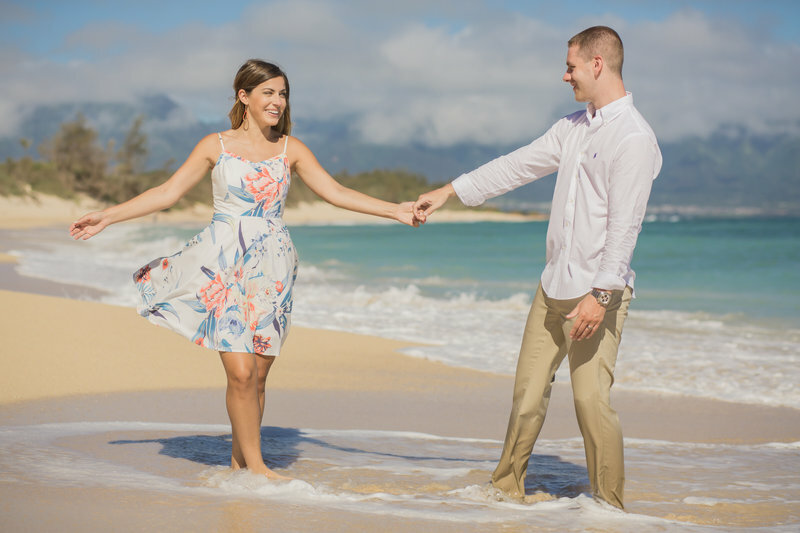 5.How many pictures do you take during our Maui Photography Session? There is no limit to the number of pictures we take during your photo session, this usually ends up being about 100-200 pictures per hour. The amount of pictures you will get in your final collection will depend on your package selection. 6.How do we pay for our photography session? We require a $50 deposit to reserve your date and the balance of your session less the $50 deposit will be due two days before your session, you can pay that online with any major credit card. You can also pay for your portrait session in advance if you prefer. 7. How soon can we expect to see our pictures?! A sneak peek on our blog with around 20 photos will be ready in about a week. Your full collection will be ready to view 3-4 weeks after your session. Turnaround time may be longer in peak times. 8. 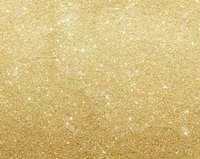 How do we get our High Resolution image files? Once your photos have been edited, we upload them to a private proofing website that you can share with friends and family. You will be able to download your photos directly from that proofing website to your computer! No waiting for snail mail from Hawaii! In addition to the digital download, we also offer a keepsake USB drive for $175 that is made of wood and custom printed with a photo from your portrait and presented in a wooden keepsake box with a photo on the top. 9. What happens if it rains!? Luckily this does not happen very often in the locations we usually work in. The first option would be to re-locate your shoot to an area of the island that is not raining. If your session gets rained out, we can try to re-schedule at no additional charge, if your session can not be re-scheduled your booking deposit will be refunded. 10. Do you provide any props for us? 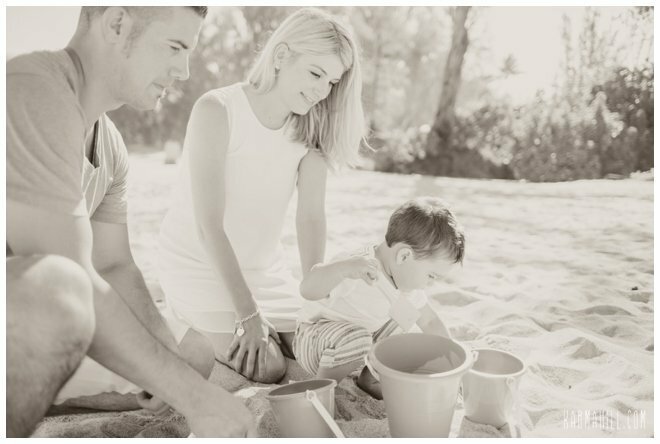 Our beach portrait packages are designed to capture the natural interaction between you and your loved ones, a snapshot of your time together, so we don't bring props unless asked. However we almost always have a few beach toys for kids who need a little help staying in one place or warming up. If you have a prop request, please let us know and if we have it, we are happy to bring it. For those looking for a very styled shoot, we offer our Magical Portraits where we help you develop a theme and coordinate any props or floral you may want for your shoot. We had such a wonderful time on the shoot with Karma. It was truly one of our best vacation memories. 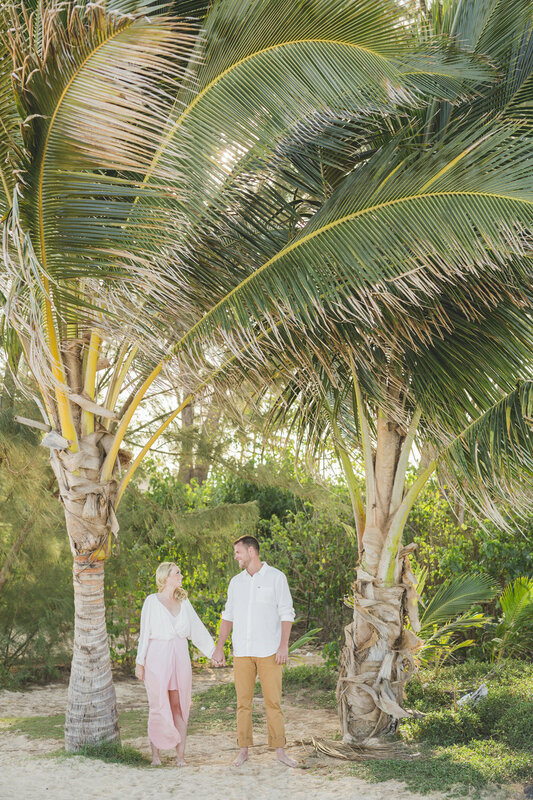 Karma Hill Photography is so easy to work with, we booked an appointment online and received great follow up once we got to the island. We didn't have to worry about a thing except showing up. The process was simple, the location was phenomenal--highly recommend, and we enjoyed every minute! I'm so happy with the photos and amazed at how Karma captured Ivy's beauty along with the beautiful setting. Thank you for an experience we'll never forget! 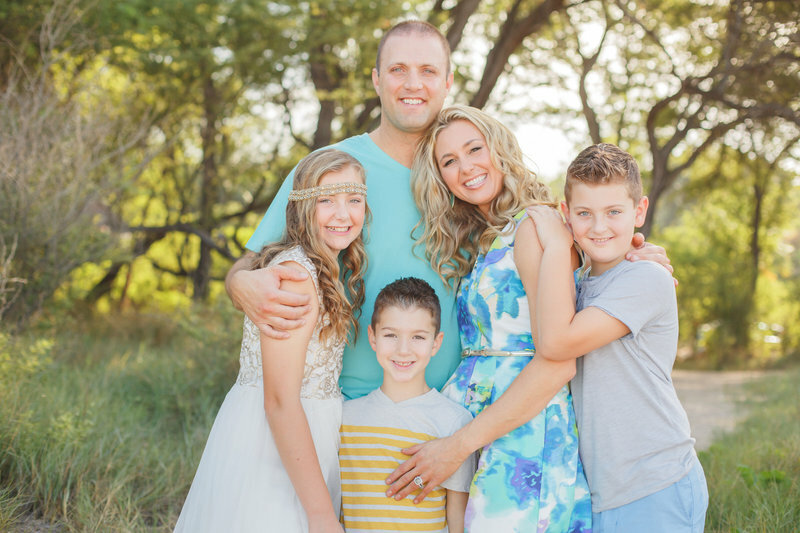 I just can’t express what a wonderful experience my family had with Karma Hill Photography. Everything from booking our shoot to meeting up with our photographer to the amazing family portraits they captured for us. 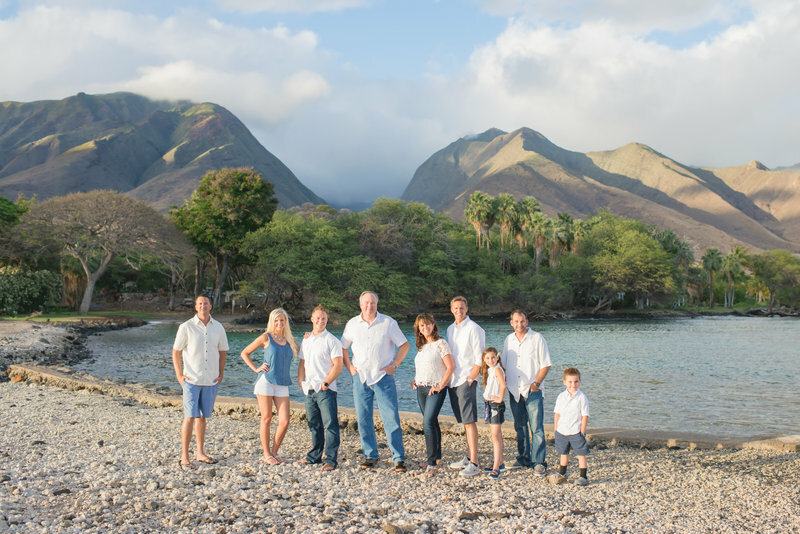 We had a group of 9 people to photograph while on Maui and weren’t sure what location would be best. Brooke gave us so much information and links to various locations with examples of previous shoots at each to help us decide. And we’re so happy with our choice! I received detailed instructions for meeting up with our photographer and everything was so seamless. After a preview of our session was posted on the blog I was astonished! I don’t know how they did it but she managed to capture a variety of incredible shots of a large group which included 2 children (1 of which wasn’t all that cooperative). 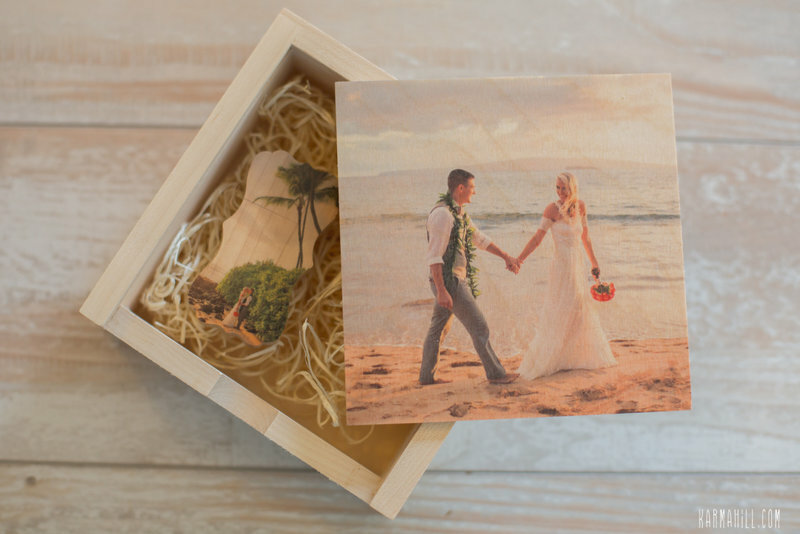 I highly recommend Karma Hill Photography for capturing your special moments while on Maui. "We're so happy with our choice!" I love our pictures, thank you! I booked Karma Hill Photography because I'm a photographer myself and their style is similar to mine. From booking the appointment to receiving my photos, the whole process was very easy and seamless. Brooke the office manager was very responsive and our photographer was very sweet and easy to work with. If you are coming to Maui, do yourself a favor and book a photo shoot with Karma Hill. The best souvenir I purchased...memories I'll have forever! "The best souvenir I purchased..."
I cannot say enough good things about our experience with Karma Hill photography! I have always had this vision of going on a romantic getaway with my husband and having professional photos taken so that I could always remember our special trip. And that is exactly what we got with Karma Hill photography. From the minute I found her website and saw her Instagram page I knew I wanted to use her, but there were maybe 1 or 2 other photographers in my price range whose style I liked. Out of those, I got the quickest and most helpful/thoughtful response from Karma Hill photography. And from there it was an easy decision. 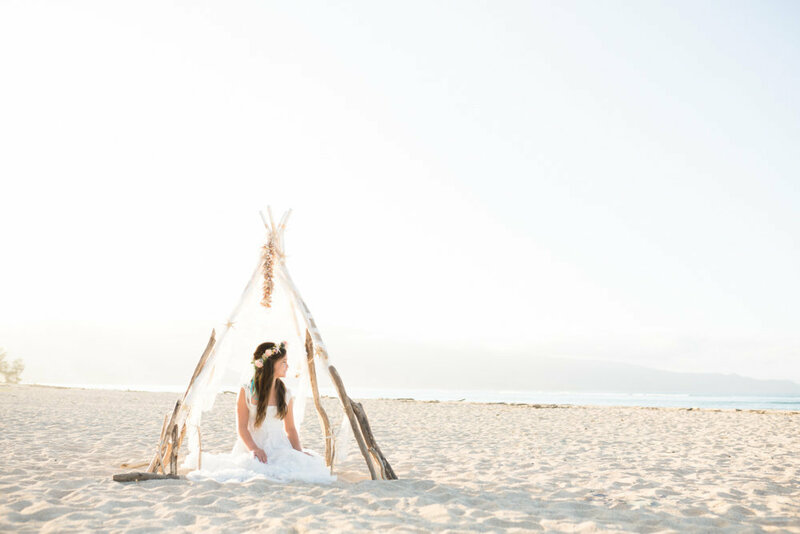 They helped us choose location, time of day, and even what to wear, which made the process so easy and stress free. Karma really helped us know where to stand and pose so that the pictures would turn out beautiful. And oh they are beautiful! My husband doesn't love having his picture taken, but in this session, we were able to relax, be ourselves, and have fun on the beach and playing the water while she snapped our photos. 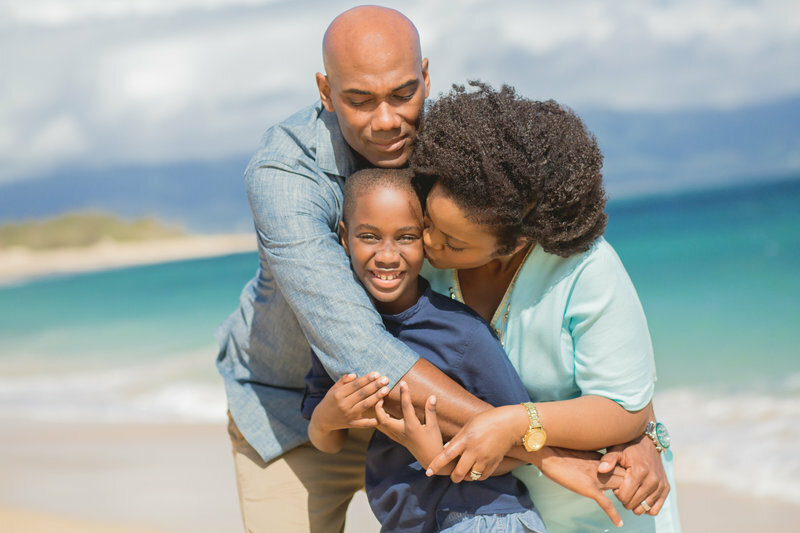 If you're going to Maui for a vacation with your spouse, family, or even if you're flying solo, you should get your photos taken by Karma Hill photography! It's a worthy investment and her photos are refreshing, timeless, and beautiful. We are so happy to have these for the rest of our lives. Maui is just a breathtakingly beautiful place and Karma captures the spirit of Hawaii along with your own personal spirit so perfectly. We used Karma Hill Photography for a family photo shoot/6 year wedding anniversary when we were visiting from New York this summer. The office manager was quick to reply to my emails and coordinated everything flawlessly. I used the advice from their website in order to choose the right colors for us to wear on the beach and I’m glad I did!! This knowledge and attention to detail is what sets them apart -they really want you to have the best experience possible and we did. We met with our photographer the morning of our shoot and she was so sweet and lovely! She listened to what I was looking for and got right to work. Her photographs are beautiful, we were very relaxed and she was able to get the most amazing shots of my 7 month old daughter. I was pleasantly surprised to get a sneak preview of our photos a week after the photo shoot. I would highly recommend Karma Hill Photography and plan to use them again when we return to Maui. 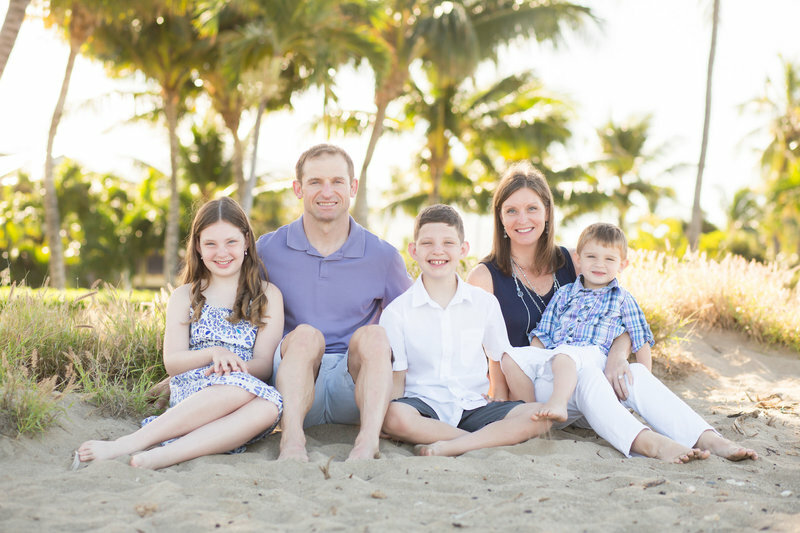 We had family photos taken by Karma Hill Photography in March, 2015. I cannot say enough about the experience! We had an uncooperative 2 year old and Karma was so patient with us! She also took photo ideas from our older children, making them feel a part of the session. Having children of her own, Karma was just the best in navigating children for the photo session. I had admired Karma's photography for a long time and had high expectations for our pictures, but I was blown away by them... simply stunning! Even with the challenge of a difficult child, the photos were amazing! 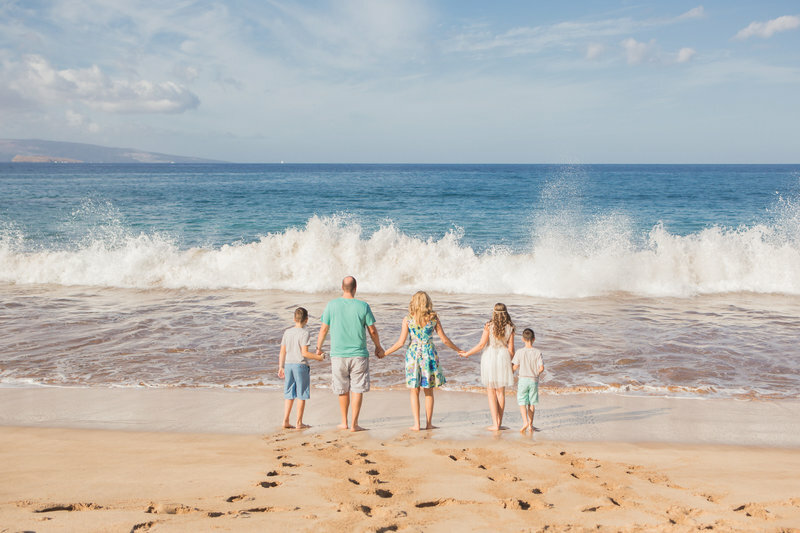 I would recommend Karma to any family who wants high quality photos on Maui that capture the beauty of the island and the personalities of the people! We truly believe you don't need a special occasion like a wedding to deserve amazing images of you and your loved ones. My team and I put the same amount of passion, love and excellence into every Maui portrait session as we do for our wedding clients. 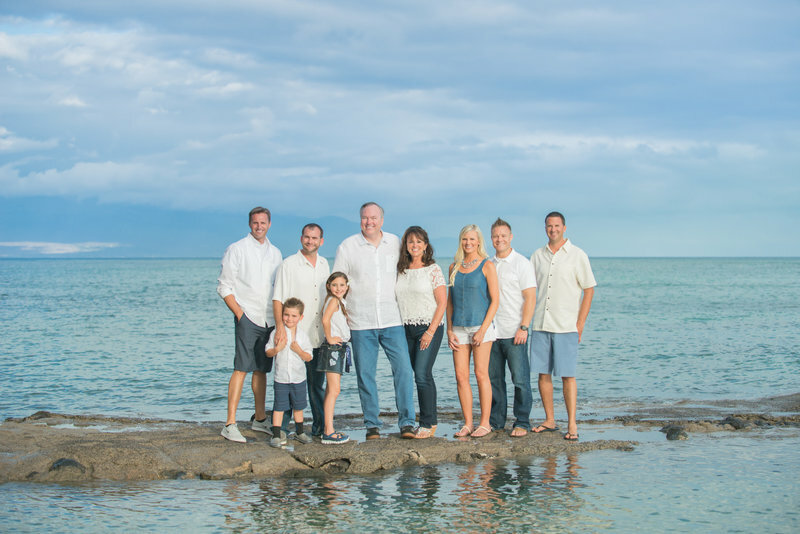 We have been photographing portraits on Maui since 2007 and are a team of true professionals. From start to finish we want your portrait experience with us to be FUN. 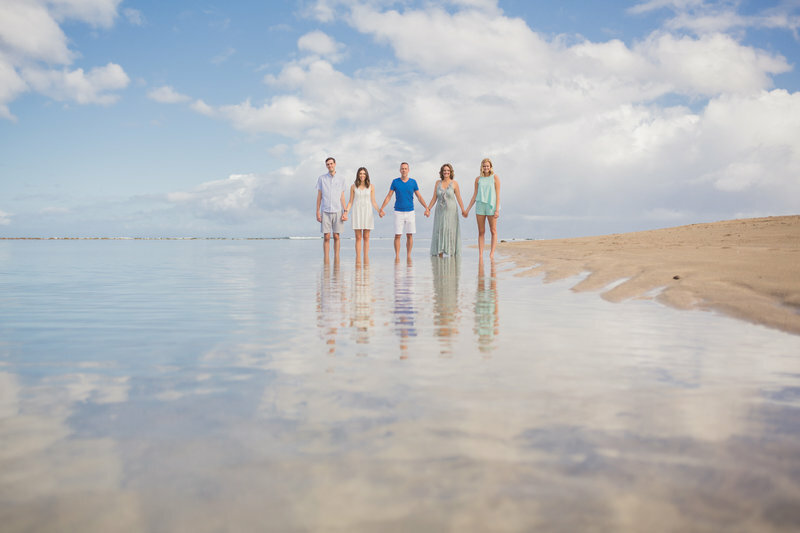 Your Maui portrait session should be a highlight of your Maui vacation, not a distraction from it. 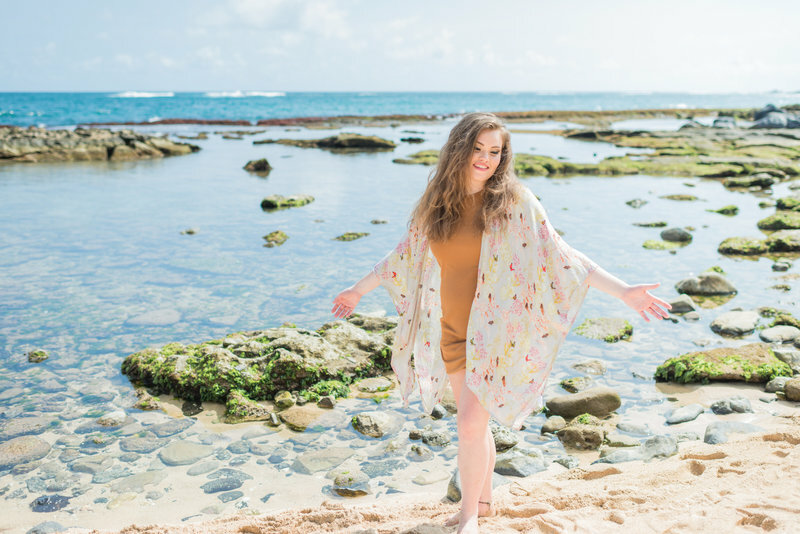 Our Maui photographers put you at ease and have fun with you so you can just relax and let that beautiful soul shine through! 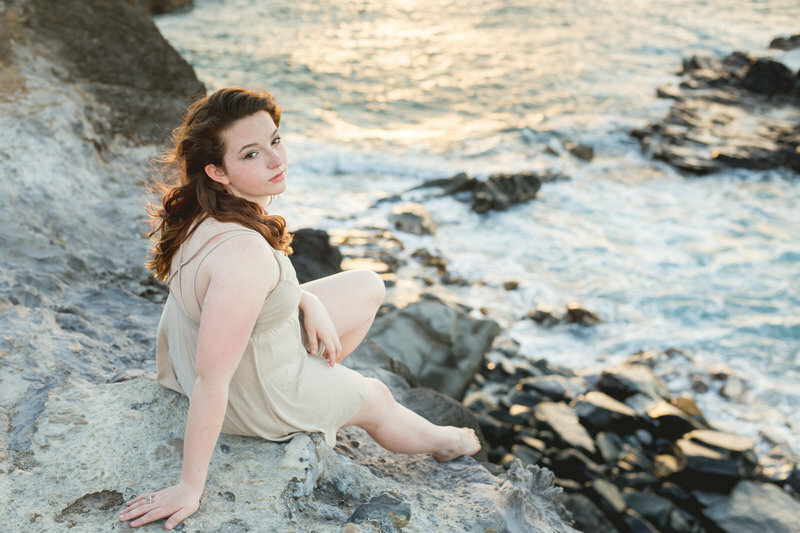 Family Portraits, Couples Portraits, Senior Portraits, Childrens Portraits in Maui and all of hawaii.